I didn’t know that. However, anyone who has stood downwind of a campfire and felt the sting in one’s eyes, the inability to breathe and the need to immediately move out of the way of the acrid smoke shouldn’t be surprised to learn that wood smoke deeply harms human health. Some of my neighbors in a high density neighborhood burn wood for heat, even when it’s 65 degrees outside. So when I returned from Nicaragua, I did some basic research. 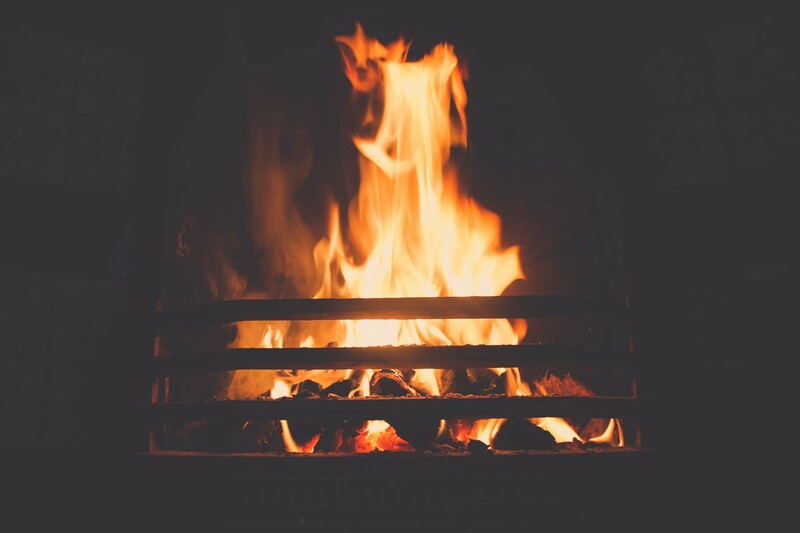 Many mistakenly think wood smoke is natural, benign, and perhaps even “green.” Its scent reminds many of youth scout groups, log cabins or camping trips in the mountains, where the air is otherwise clean. However, according to the USEPA and BurningIssues.org websites, wood smoke contains a wide array of toxic chemicals, including: Dioxins, Formaldehyde, Polycyclic Aromatic Hydrocarbons, Carbon Monoxide, Nitrogen Oxides, Benzene, Benzo(a)pyrene and other mutagens and carcinogens. It burns hundreds of times dirtier than oil or natural gas and burns significantly dirtier than coal. It is twelve times more carcinogenic than tobacco smoke and the free radicals produced by wood smoke remain in the human body dozens of times longer than those from tobacco smoke. Heating with wood for one season causes as much toxic air pollution as driving a car 130,000 miles. Wood smoke toxins are delivered in airborne nanoparticles. These particles are so tiny that they go, unfiltered by cilia, directly to the depths of the lungs and into the bloodstream. Further, as one breathes 24 hours/day but only drinks water or showers intermittently, airborne contaminants enter human bodies at much higher volumes than do contaminants from a domestic water supply. Once the toxic airborne nanoparticles in wood smoke enter the body, they cause significant cardiovascular damage, which leads to heart attacks and strokes. Wood smoke is said to cause 30,000 American deaths/year and at least 2.7 million deaths worldwide/year. One cannot avoid exposure to wood smoke by staying inside all winter. 50–70% of the nanoparticles in wood smoke get through tiny spaces along doors or windows and into homes, even when those doors and windows are shut. People gauge environmental risk poorly. Wood smoke is an obvious example. Most people who burn wood fires would never smoke tobacco or even stay in a room where someone else was doing so. I am not an apologist for smokers. I share the prevailing view that tobacco injures the body. I have been an environmental attorney for over 25 years, typically prosecuting corporate polluters. At many of the sites on which I have worked, the contamination was much less perceptible and less widely dispersed than is wood smoke from one or two residential neighbors. A factory with equally toxic emissions near most residential neighborhoods would be picketed, prosecuted and sued. A documentary film might even be made about the evil corporation that owned that factory. In contrast, homeowners who burn wood are widely tolerated by a naïve public. But the human body does not care whether pollution comes from an evil corporation or a kale-eating neighbor. Hey, nothing against kale. When I calmly broached the hazards of wood burning with my self-described progressive neighbors and municipal government, I was met with anger and a refusal to read the materials I wished to share. There is a stubborn romance attached to, and an atavistic, back to the land feeling about, wood fires. But as noted above, ignorance about wood smoke’s health effects is not bliss. By ignoring a growing wood smoke pollution problem, many municipal, county and state governments are failing to protect its citizens from the most serious source of contamination, and the biggest post-industrial threat to public health, in many high density areas. Some environmentally aware municipalities have passed laws against this atavistic energy. More governments should do so. But the government generally has less effect on peoples’ lives than does constructive, collective, voluntary conduct. Love your neighbors. Help to limit increases in American health care costs. Please consider the above-stated information about wood smoke the next time you think about burning wood. Sweaters and turtlenecks provide much warmth.